Set your evening alight at Brisbane's best Riverfire event for 2018. We're set to celebrate this spectacular occasion with an exclusive cocktail party on Dandy's Rooftop. Watch as the sky transforms into an array of colours, and bask in the glow of the fireworks amidst a night full of entertainment. 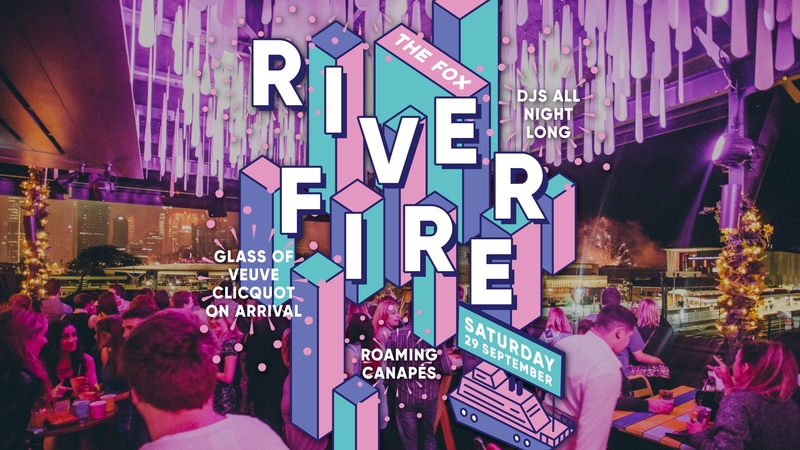 We will be throwing one heck of a party for Riverfire 2018, with DJs on the decks all night long. Each ticketholder will receive a glass of Veuve Clicquot or ice cold Asahi Super Dry on arrival, then can pick and choose from the various roaming canapes and mini substantials throughout the evening! Food service will be provided from opening of the event with desert canapes as a finale with the fireworks! Join us for nibbles, drinks, a night full of entertainment & Brisbane's best views of the skyline and fireworks as we celebrate Riverfire 2018 at Brisbane's best rooftop bar.